Over last year there have been many column inches in the newspapers and on current affairs programmes devoted to the beneficial and healing effects gardening can have on helping overcome and stimulate a better well-being of oneself. At the Chelsea Flower Show last May the Royal Horticultural Society pledged its Feel Good Garden would live on at a Camden and Islington Mental Health Trust site in London to help patients and staff there. So, as many of you may remember we were delighted to be involved with the THRIVE charity a couple of years ago and our charity of 2019, LINDENGATE, brings our ties close to mental health issues once again. As well as increasing the awareness of what the charity does, see below, we also want to have some good fun doing it. So, we’ll be rolling out some challenges. We hope to involve children, LINDENGATE and even some of our more mature members of our Garden Club audience. 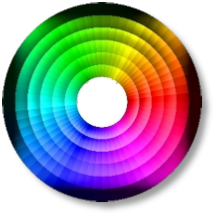 For a start we look forward to seeing your creations in February. 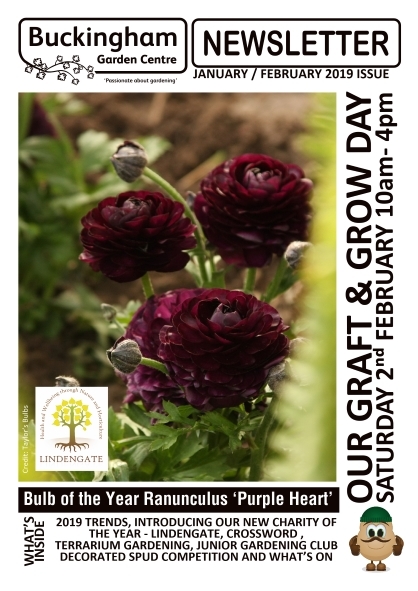 So, to kick things off we are inviting local schools, LINDENGATE and our customers to get involved at our Graft & Grow Day on Saturday 2nd February in our ‘Best Dressed Potato Challenge’. You will find full details HERE. Enjoy your late winter garden - whatever the weather. As a business we get approached on a regular basis for raffle donations, requests to sponsor events, plants for fetes, etc. so some years ago we decided to adopt a ‘Charity of the Year’ and put all our efforts and funds towards that one particular charity, writes Pauline Brown. As regular customers will know, in the past we have supported Thrive, Cancer UK, Medical Detection Dogs, PACE, The Puzzle Centre and last year BBONT. As usual we asked all our staff to put forward names of charities they would like us to adopt for 2019, these being their own choice or ones they have been approached by recently. We then have to make the decision which to choose. From past experience we get the most support for ones connected with dogs (I wonder why?! ), but at the moment there is a lot of concern for those suffering in any way with mental health problems in youth or any other age. If you are personally associated with a family where mental health of a member is a problem you will know the difficulties they face on sometimes a 24 hour a day basis, so when we were approached by the relatively small but local charity ‘Lindengate’ we felt this needed investigating, if nothing else to see where they got their name from! witnessed many ‘gardeners’ happily and enthusiastically working away clearing an area, also others arriving with their carers for a social get together. There was so much going on and what they have achieved on the five acre site in just five years is ‘mind-boggling’. It is a charity which definitely ticks all the boxes as far as our staff are concerned:- helping those who really need it, using horticulture as a means of doing this, creating a restful yet stimulating environment from a redundant site, caring for and creating so many different zones, some for production of fruit and vegetables, some for rare tree production, some for wildlife, some for simply relaxing in and much more. However, they still have a considerable amount of land to develop and a constant need for funds plus help from volunteers. Anyway, as a result of my visit to them I was able to report back and consequently ‘Lindengate’ was voted as ‘Charity of the Year’ for 2019. We are sure they will be very active in getting the chance to bring to your notice what they are doing and achieving so we all look forward to helping them during the year. 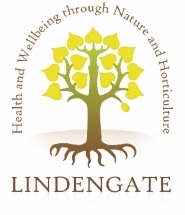 Lindengate is a young, award winning charity, that offers specialised gardening activities to help those with mental health needs in their continuing recovery. Our services, known as Social & Therapeutic Horticulture (STH), use the healing power of nature and the outdoors to improve mental wellbeing, boost self-esteem & social inclusion and encourage long-term recovery. STH is recognised to be beneficial for a wide range of mental health needs including anxiety, depression, loneliness, Autism (ASD), dementia, Alzheimer’s, head injury and bipolar. 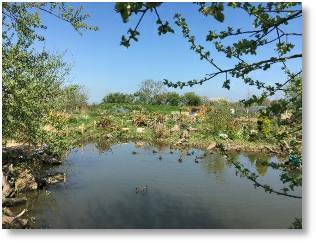 The charity operates from a stunning 5-acre garden site near Wendover, which is easily reached from within Buckinghamshire, Hertfordshire and Oxfordshire. 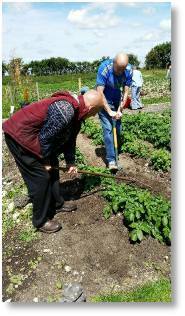 It offers gardening, conservation, horticulture, craft and construction activities that enable Gardeners (what we call our Service Users) to spend time in a managed and calm environment, either singly or in small groups, working towards their recovery. STH is increasingly recognised as a successful method to promote health and well-being, facilitate social inclusion and offer participants access to pathways that can help them gain in self-confidence and self-esteem. By getting people out of their homes and mixing with others in an outdoor, natural environment it is a catalyst to breakdown their social isolation and encourages the recovery process. 1 in 4 people are known to suffer with mental ill-health in any year. Demand for community based mental health services is high and increasing and social care facilities are needed to relieve the strain on mainstream healthcare. As a specialist mental health charity Lindengate is helping to relieve this strain. And it’s not just our Gardeners that benefit from such an environment. 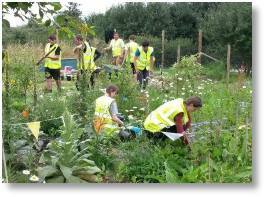 Many of our 130+ volunteers also experience a positive impact on their wellbeing as part of the Lindengate community. It also gives them a chance to learn new skills and pass on their expertise to others. We are also delighted and very encouraged that evidence of our impact and the quality of our work has been recognised through a number of awards in the past few years. Lindengate has at its heart an ethos that embraces nature. This flows through all our activities with recycling at every opportunity and construction, art and craft and cooking activities alongside all the horticulture enabling the gardens to provide the many accessible and varied numbers of activities needed for all our Gardeners. Conservation from which our Gardeners benefit hugely has become an equally important activity and it’s very clear that nature has given us a seal of approval in what we are doing with the site. We have a growing number of wild flowers, nesting birds, butterflies, bees, small mammals and with the addition of our ponds, amphibians. Since opening, our volunteers and Gardeners have worked together to create and maintain many different habitats to encourage and support the wildlife around the site and it has made a massive difference to everyone’s enjoyment of the gardens. Of equal importance are the many and varied activities and the additional learning opportunities that our conservation policy brings to our Gardeners. For everyone involved, the principle of nurturing nature and taking a part in creating something really very special, however small that part might be, is good for the soul. A natural extension to the nurturing that we do on the Lindengate site was to offer support to other conservation projects within our local community. Our need for a broad spectrum of activities all year round for our Gardeners caused us to venture into a number of initiatives which in the past 3 years have developed into some very successful and mutually beneficial partnerships. They have the double benefit of offering our volunteers a chance to get involved in the bigger picture as well as learning and using specialist skills that can then be passed on to our Gardeners. Anytime between 10am and 12noon. • Explore Lindengate’s stunning 5-acre garden. • Find out how Lindengate helps people with mental health. • Explore our exciting volunteer opportunities. 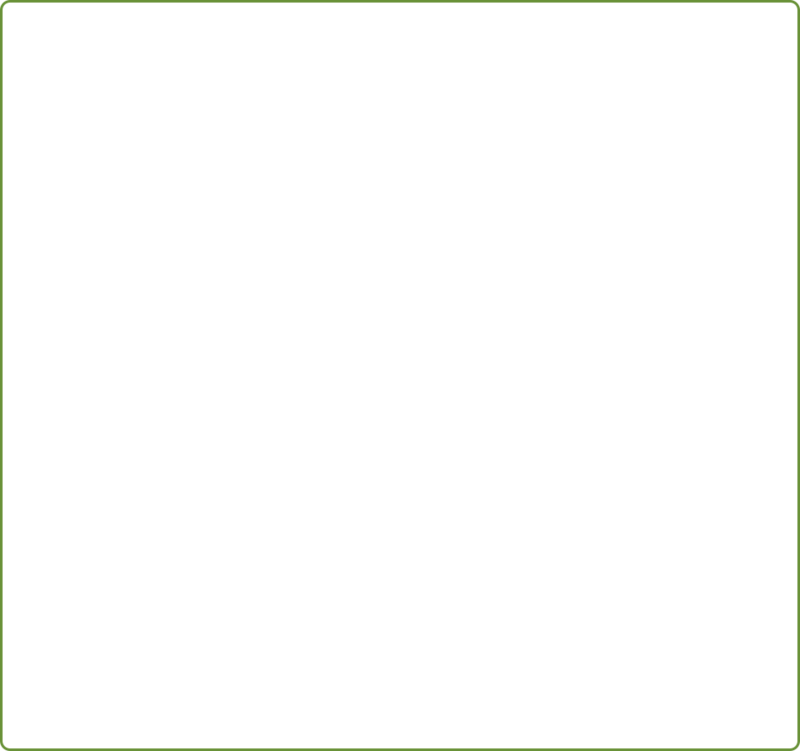 • Learn about our conservation projects. lass cases could be used to control humidity (very good for ferns) and air quality (also very good for ferns). These glass cases weren’t just for home gardeners, either. The Wardian case became indispensable to plant explorers sending live plants back to Britain from all over the world. 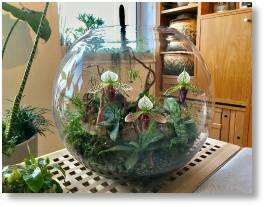 In our modern homes, where dry atmospheres can be a problem, terrariums provide the perfect safe haven for growing a wide and exotic range of indoor plants. The use of low running cost LED lighting also makes the proposition of growing indoors plants in shadier areas of the house more practical. Garden writer and broadcaster James Wong (pictured left - one of his terrariums with orchids) has also given lots of advice on using terrariums from his experience at his own flat in London and you’ll have heard how successful his ventures have been if you listen to BBC Radio 4’s Gardeners’ Question Time. We have a range of terrariums available in the shop together with suitable small foliage plants including Pilea, Fittonia, Maranta, Helxine (mind your own business plant), Palms and Ferns. Select plants with different leaf shapes and textures for best effect. It is advisable to put some small pebbles or gravel in the base, perhaps to a depth of 5cm or so and then add some multi-purpose compost to bring the level up to a reasonable planting depth. 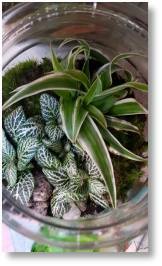 Avoid putting too many plants into the terrarium, as its best to give the plants sufficient room to develop and grow. Carefully water the new plants in taking special care not to over water them. 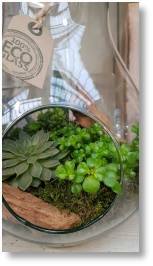 You’ll find fully enclosed terrariums may ‘steam up’ as the atmosphere balances out and the plants settle in. The ‘open glass’ planters are perfect for growing Cacti and Succulents where you want to display them together but space might be limited. PUZZLE CORNER - OUR JANUARY/FEBRUARY CROSSWORD! 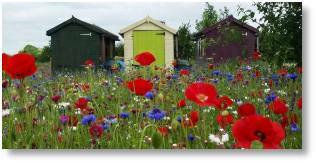 Would you like to win a £25 Buckingham Garden Centre Gift Voucher? Enter our crossword competition below. Use the clues to fill in the answers. Take the letters from the shaded boxes which form an anagram of a popular rose variety (9). 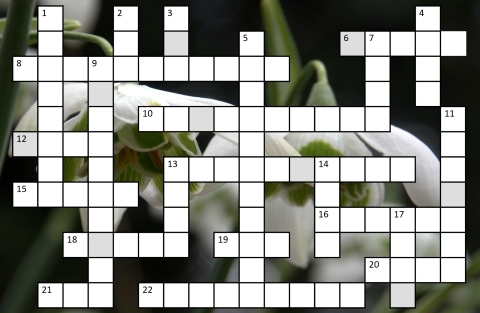 Once you have solved the anagram, send the plant name you have discovered by e-mail to competitions@buckingham-nurseries.co.uk with subject line “January Crossword” or post your entry to January Crossword Competition, Buckingham Garden Centre, Tingewick Road, Buckingham, MK18 4AE. Closing date 28th February 2019. The answers to last months crossword can be found HERE. The Shop is embracing the ‘Year of the bee’ through 2019 with colours of fabric reflecting the colours of bees - yellow and orange, and of course our home-produced honey from our beehives on site. After last year’s successful launch of the Bramblecrest range of garden furniture, further additional lines will be appearing featuring new designs together with graphite coloured cushions which will contrast rather well with the new scatter cushions from contemporary soft furnishings supplier Walton & Co.
Their Bumblebee collection features their classic bee print on orchre teamed with a modern dotted stripe. A percentage of the sales from these cushions is donated to the Bumblebee Conservation Trust. We’ll also be introducing a range of scatter cushions from Leisuregrow and these provide a perfect way to inject colour, add interest, or to layer-up a theme within your garden furniture. These contemporary designs include banana leaves, cacti and Nordic leaf designs in emerald green. Nordic chevrons and kingfisher cushions (pictured right) in cobalt blue and Nordic diamonds and flowers in lemon yellow. 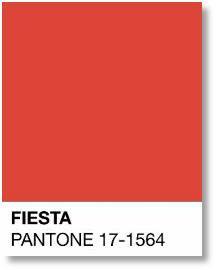 These colours will certainly transform your furniture this summer. isela Graham - perfect for displaying your little one’s latest photo. You’ll start seeing plenty of references to the new Toy Story 4 film which opens this June so its no coincidence we have some cowboy and Indian themed items appearing! We have bunting perfect for creating a wild west themed room as well as character clothes hangers. 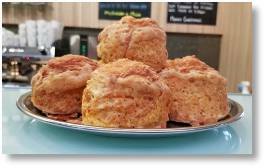 s we recover from the excesses of the festive period, there’s good news that the restaurant will once again be offering their delicious freshly baked scones. They will be available in three flavours - plain, cheese (pictured left) and fruit. We know from your feedback these were popular last year so if you haven't given them a try they certainly come with a high recommendations. The summer Bulb of the Year 2019 is Ranunculus ‘Purple Heart’. 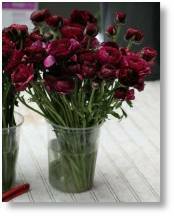 It’s wonderfully dramatic and sumptuous colouring makes this ranunculus a sublime partner for rich purples, softer pinks and fresh greens. Pretty impressive in pots or the early summer border, they also make quite long-lived additions to the vase, so we would recommend planting more than you think you will need so you will have plenty left over for cutting. Make sure they receive full sun and are grown in well worked, moist but freely draining soil. It is best to plant the corms with their fingers facing downwards at 8cm (3 inches) deep and a similar distance apart. 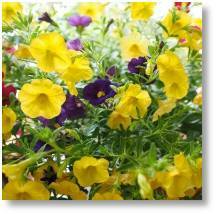 You’ll enjoy flowers from May to June and they are full hardy for repeat flowering every year. This bulb is part of our ‘Buy One Get One Free’ summer bulb promotion which includes Lilium Regale and Agapanthus Blue. They cost £5.99 each. In our seasonal tunnel we’ll have a great range of potted spring bulbs including single and double Snowdrops, Narcissi and Tulips in 9cm pots. We’ll have a multi-buy offer on these as well as the one-litre potted bulb range. 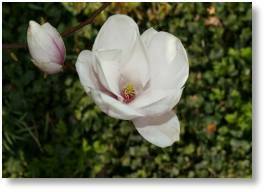 Magnolias tend to come into their own once spring beckons so we are excited by a new delivery which includes ‘Alba Superba’ (pictured right), ‘Black Tulip’, ‘Columnar Pink’, ‘Genie’, ‘Golden Pond’, (a cross between M. acuminata x M. denudata) This magnolia is a fast growing sizeable tree with large flowers. Held upright, they have the narrow tepals typical of many acuminata derivatives but have great colour intensity. From the popular ‘Susan’ famed for its reddish purple cupped flowers with a lovely fragrance to the incredibly rare ‘Caerhayes New Purple’ with its deep glowing purple pink flowers. 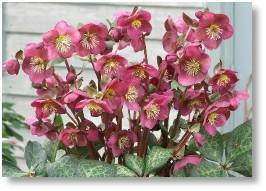 At £12.99 the Helleborus Rodney Davey Marbled Group of varieties are expected in early February. The collection, in 2-litre pots, includes the varieties ‘Anna’s Red’, (pictured left) ‘Charmer’, ‘Dana’s Dulcet’, ‘Dorothy’s Dawn’, ‘Molly’s White’ and ‘Sally’s Shell’. These named hybrids were bred at Rodney Davey and Lynda Windsor's nursery in Tytherleigh and they have since been bulked up by commercial growers so they are now available to the garden centre trade. It took Rodney 12 years to achieve his goal of raising a red-flowered hellebore with marbled leaves. After several more years' laborious work, fighting the seeds' obstinate desire to stay locked up, he finally selected the seedling that has become ‘Anna's Red'. However to build up enough plants to sell, he had constantly to recreate the cross he’d made. It took several more years to build up a stock of two hundred plants in pots. Since then his varieties have grown in number and in availability and we are delighted to be able to offer many of them. 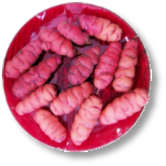 Finally, OCA – not the Open College of the Arts, Oxford Cricket Association or Offshore Contractors Association but Oxalis tuberosa, a delicious vegetable! Some may remember that a few years ago we promoted the growing of Ocas (New Zealand Yam) and several customers wanted to grow these for a second season, but we were unable to supply tubers as the commercial grower we obtained stock from had a disaster – the rabbits got into the production fields and destroyed virtually all the stock. However, tubers are available again this year so you can try your hand again, or for the first time. For those unfamiliar with Oca, it is second only to potatoes in importance in the Andes. They look rather like elongated, knobbly and colourful potatoes and have a wonderful tangy, lemony flavour. They are crisp and juicy and can be eaten raw in salads, they roast beautifully, or they can be boiled when they lose some of the lemony flavour and become nutty. Nutritionally they are rich in carbohydrate, calcium and iron and can either be grown in large pots or in a warm position in the ground. Growing instructions will be available with the tubers, but basically they should be treated rather like a potato but with the addition of making sure they are kept very well watered from September onwards when the tubers will be forming. So look out for these little gems shortly, give them a go and be delighted with the new addition to your plate in the autumn and winter. WE ARE LOOKING FOR THE BEST DECORATED POTATO! This year we are running our School Challenge in conjunction with our Junior Gardening Club members and opening it to anyone else who would like to enter to see who can produce the ‘Best Dressed Potatoes’ in and around Buckingham! All entries will come together at our Graft & Grow event on Saturday 2nd February where they will be judged and prizes given. The Competition is open to EVERYONE, including all local schools in Buckingham and the surrounding villages and members of our Junior Gardening Club. 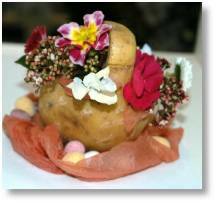 All you have to do is decorate a potato tuber, preferably a reasonably sized one, with whatever you wish from props to materials. It could be a character, an animal, or whatever you like to create with one amazing potato. Please bring your potato together with a slip of paper with your name, age, school and a contact telephone number from Friday 1st February and up to 12noon on Saturday 2nd February 2019. All entries will be judged after 12noon and the winners notified later that afternoon. To give you some ideas we ran a similar competition a few years ago and pictured below are some of the entries we received. Let’s see if we can push the boat out and create some very special best dressed spuds! Back in the summer of last year we invited you to put a name to our Junior Garden Club characters - well you haven’t disappointed us! So, without further ado here are the names we have selected from your many suggestions! Now can you put a name to our new Potato character, pictured right? We have nicknamed it Spud - however we think you could come up with a much better fun name. Have a think about the name and when you come in to play our next Junior Gardening Club Challenge there will be a space to add your name to our new character on the play sheet. We hope to see you soon! WHAT WILL THE GARDENING TRENDS BE IN 2019? Elsewhere the urban garden and all its quirks looks set to be at the heart of the 2019 garden trends. The words ‘vista’, ‘drifts’ and ‘double borders’ have been replaced by pots, table planters, automated irrigation and smaller varieties of plants. For smaller gardens you need plants that will ‘pay their way with colour and reliability’ so summer plants that need less water are definitely going to be on the shopping list in 2019. At the Ball Colegrave trials one plant definitely flourished in the heat and that was the Calibrachoa. It has been around since the 1990's, and you’ll probably recognise it under its marketing name of ‘Million Bells’. 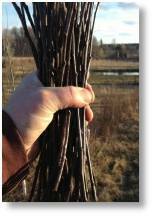 This plant is relatively undemanding, and prefers its soil on the dry side. Finally, yes! Houseplants continue from strength to strength. The use of larger, more sculptural specimen plants such as palms and Umbrella plants looks set to rise as is the interest of jungle type plants such as Calathea and Maranta, the prayer plant. WEDNESDAY 13th MARCH at 4pm Colour is the key essential in every garden and this updated talk - Twelve Months Of Colour - covers a whole range of garden worthy plants that can do just that – provide fabulous foliage, flowers, stem, leaf and berry colour for year-round interest and enjoyment. Chris Day also looks at how colour can excite the senses and the current trends gardeners need to be considering in their pots, baskets and borders. Booking is essential either at the Customer Service Desk or call 01280 827133. Garden Card holders free, £3 for non-holders. WEDNESDAY 27th MARCH Join us for an ORCHID DAY in the company of the ‘Orchid Master’ Peter White. 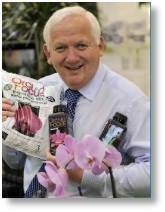 Peter is President of the British Orchid Society and President of the International Phalaenopsis Alliance. His no-nonsense advice will be available from 11am onwards with Orchid MOT's until 3.45pm. There will be a couple of Orchid talks, the first at 11.00am and the second at 2.00pm in the Shop. 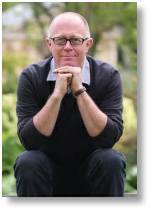 WEDNESDAY 10th APRIL at 4pm Timothy Walker’s talk ‘Bordering on Insanity’ - creating an all-year-round border. This talk looks exclusively at the herbaceous border designed by Timothy’s wife’s in a previous garden. The border was created over 25 years and the talk covers the principles and practicalities that were adopted in an attempt to create a border that is interesting all-year-round. It concludes with a look at a collection of must-have plants for such a border, and associations in which they may be grown. See March 13th talk for booking details. WEDNESDAY 8th MAY at 4pm Our chosen charity of 2019, Lindengate, will be talking on their aims and work. Come and hear how Lindengate Charity supports those with mental health needs using Social and Therapeutic Horticulture. Learn about their stunning 5 acre garden and conservation work, and the part it plays in recovery. Except it is much more than that! See our March 13th talk for full booking details.